Cebu Pacific, the Philippines’ leading airline, invites wandering Juans to explore Asian destinations with an open mind and a thirst for adventure, one shot or cup at a time. Sampling unique beverages is a filling way to orient a traveler on the culture and way of life of a particular place or country. From utterly sweet to overwhelmingly strong, from the traditional to the pleasantly bizarre, these drinks have what it takes to satisfy the thirsty traveler traversing through Asia. One of the popular drink here in the Philippines is Lambanog, among farmers who drink it to wind down after a day’s work in Quezon province, lambanog is made from the sap of the coconut flower and is known for its potency. Drinking lambanog is traditionally a communal activity among folks in the province who take turns drinking from a single glass, while somebody plays guitar and sings in the background, making the festivities more interesting as the drinking goes on. Very affordable but extremely strong, a popular brand of this local drink recently got an international nod as one of the top liquors of the world from Monde Selection’s World Selection of Spirits and Liquors. Further south, the civet cat, a nocturnal creature that inhabits Mt. Apo in Davao, is known for producing one of the rarest coffee beans in the world. Feeding on the fleshy pulp of fruits like coffee berries, it keeps the beans intact while making shorter peptides and more free amino acids, popping out coffee beans that are less bitter and more chocolatey in taste. 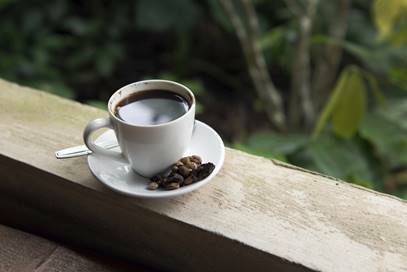 Warm a cold morning with a cup of civet coffee, priced at approximately PHP300, at select coffee shops in Davao City. Japan is a foodie haven and it also surprises with its bizarre offerings, not excluding their beverages. Bold yet simple, the Wabi-Sabi Pale Ale is a hybrid of wasabi and green tea, two distinctly Japanese flavors, and can be enjoyed at any of the Baird Brewery Taprooms in Numazu Fishmarket, Nakameguro, Harajuku, Bashamichi, and Shuzenji. Widely known for their distinctive bottles, carbonated soft drink maker Ramune has also come up with crazy soda flavors from takoyaki and teriyaki to wasabi and curry. The Ramune sodas are staples at local Japanese stores but can also be purchased online as well. In Vietnam and Taipei, whole snakes are infused with rice wine or grain alcohol to make snake wine, which traces its origins in China during the Zhoung Dynasty and is believed to have invigorating qualities. Huaxi Street Night Market in Taipei is the go-to-spot for snake foods and wine products. Meanwhile, the world’s most expensive tea is grown in China and they are fertilized by panda excrement. Cultivated in the mountains of Ya’an in the Sichuan Province, just about a 55-minute drive from Chengdu Shuangliu International Airport, the Panda Tea officially went on the market in 2012 and broke records when it sold for $3,500 for 50 grams (approximately 16 cups of tea). Drink your fill across Asia and sample these unusual beverages by booking your Cebu Pacific flight to Manila, Davao, Nagoya, Ho Chi Minh, Taipei, and Guangzhou now! Visit www.cebupacificair.com.